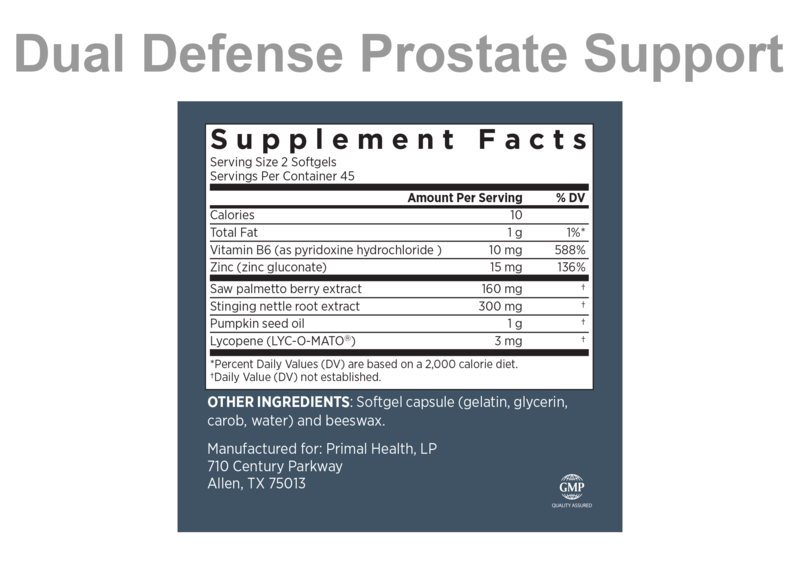 Dual Defense Prostate Support is a blend of standardized extracts of herbs and nutrients. 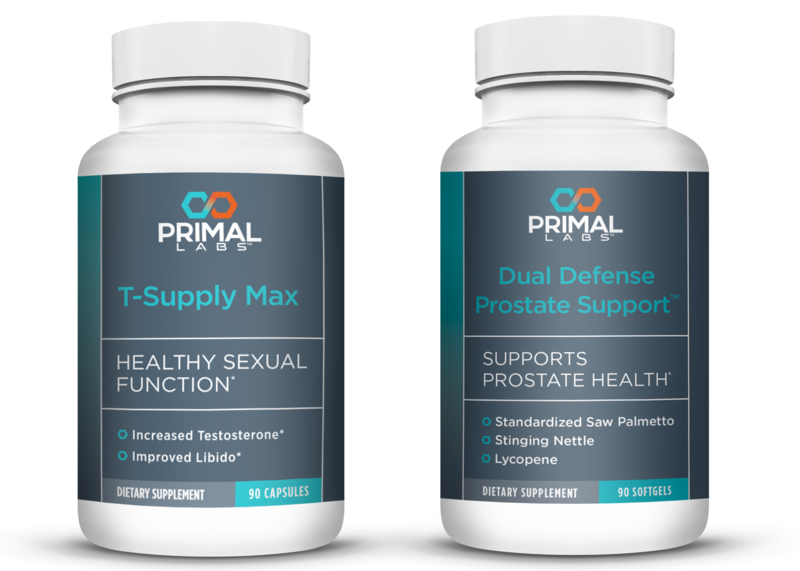 Saw Palmetto has been shown in clinical studies to support prostate function. * We have provided additional nutritional support with Pumpkin Seed Oil, Zinc, Vitamin B-6, and Lycopene. ...Not until you empty your bladder comfortably...stop getting up in the night...and free yourself from throbbing discomfort. Thank the Native Americans. 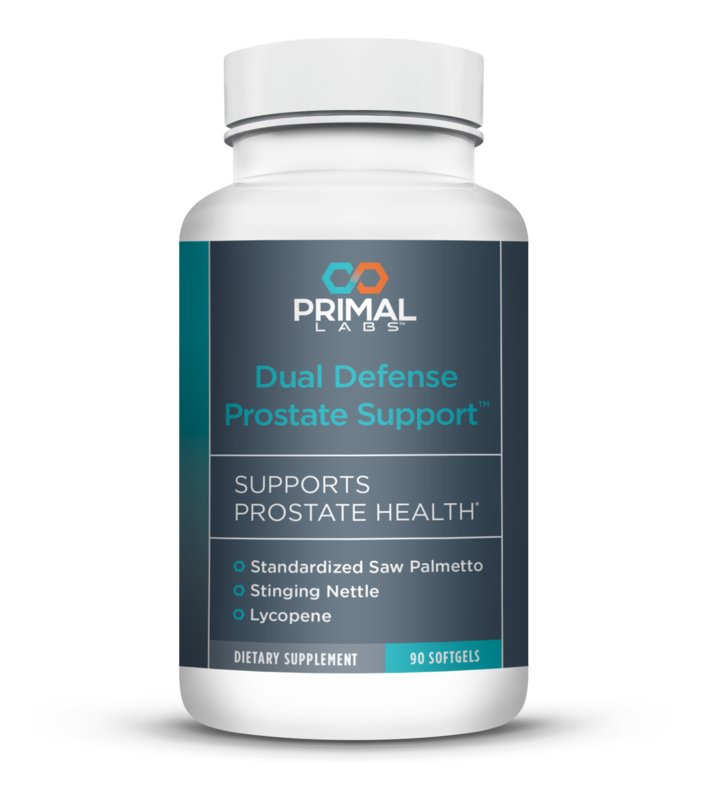 They were the first ones to use Saw Palmetto - the primary ingredient in this Dual Defense Prostate Support pill. Pumpkin seed oil and zinc prevent the transformation of testosterone into dihydrotestosterone. 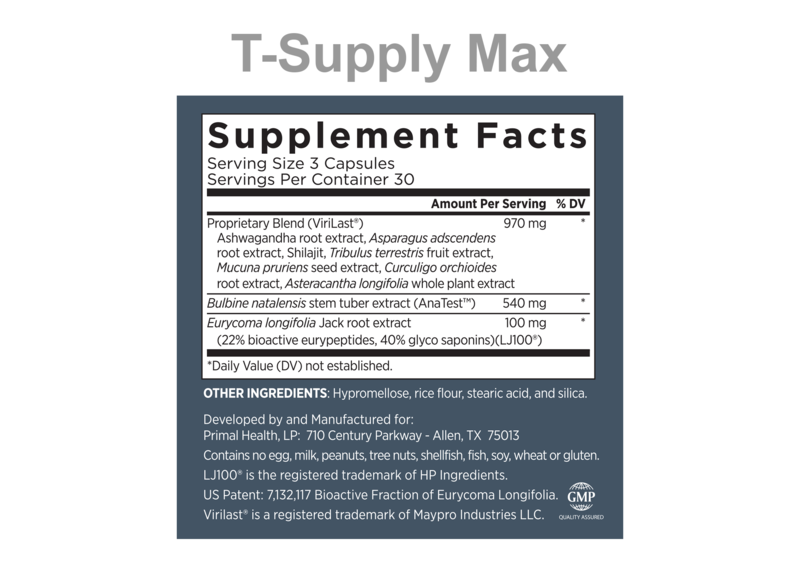 * Testosterone is your man-hormone which helps maintain your muscle-mass and sexual energy. Yet it tends to plummet as you get older. This Native American secret is guaranteed to deliver - right where you need help most. And you don’t risk a single penny. So order today. If you don’t feel overwhelming relief, you get a full refund, no questions asked. Antoniou LD, Shalhoub RJ, Sudhakar T, Smith JC Jr. Lancet. 1977 Oct 29;2(8044):895-8. Christian P, Khatry SK, Yamini S, Stallings R, LeClerq SC, Shrestha SR, Pradhan EK, West KP Jr. Am J Clin Nutr. 2001 Jun;73(6):1045-51. Goldiner WH, Hamilton BP, Hyman PD, Russell RM. J Am Coll Nutr. 1983;2(2):157-62. Hamza RT, Hamed AI, Sallam MT. Ital J Pediatr. 2012 May 24;38:21. Hunt CD, Johnson PE, Herbel J, Mullen LK. Am J Clin Nutr. 1992 Jul;56(1):148-57. MacDonald RS. J Nutr. 2000 May;130(5S Suppl):1500S-8S. Mares-Perlman JA, Klein R, Klein BE, Greger JL, Brady WE, Palta M, Ritter LL. Arch Ophthalmol. 1996 Aug;114(8):991-7. Netter A, Hartoma R, Nahoul K. Arch Androl. 1981 Aug;7(1):69-73. Rising R, Scaglia JF, Cole C, Tverskaya R, Duro D, Lifshitz F. Nutr Metab (Lond). 2005 Apr 7;2(1):10.
van Leeuwen R, Boekhoorn S, Vingerling JR, Witteman JC, Klaver CC, Hofman A, de Jong PT. JAMA. 2005 Dec 28;294(24):3101-7. Vecchio M, Navaneethan SD, Johnson DW, Lucisano G, Graziano G, Querques M, Saglimbene V, Ruospo M, Bonifati C, Jannini EA, Strippoli GF. Clin J Am Soc Nephrol. 2010 Jun;5(6):985-95.